When you have the right tree in the right area, it can make all the difference in the beauty and value of your property. As expert tree specialists, we can help you decide what tree species will best complement your property. Most of all, our tree services will help maintain the health and beauty of your trees for years to come. As certified arborists we will provide you with professional tree transplanting, large tree sales and tree care — thanks to our years of experience, innovative tools and equipment. We are capable of supplying, installing or relocating large specimen spruce trees or large specimen shade trees and have been serving Illinois, Indiana and the Midwest since 1978. For an estimate on any of our tree services, contact us or give us a call at: (815) 469-6061. We’re not just your typical tree specialists, we are certified arborists who are also dedicated tree care consultants. Even before we perform any kind of tree service, we will first thoroughly inspect your landscape and diagnose any kind of problems with your trees. Then we will make recommendations based on the type of tree service that will work best for your lawn. Our environmentally conscious arboriculture includes: tree health, systemic insect and disease control, safety consultations, appraisals and more. es, contact us or give us a call at: (815) 469-6061. Arbor Care, Inc. has expert certified arborists who have been providing tree planting, tree transplanting and tree health care for area residents and businesses for over 30 years. As tree experts, we diagnose and treat common problems normally associated with trees. We offer an array of tree services to help our clients maintain beautiful and healthy trees and plants – while at the same time educating them so they’re well informed on how to care for their trees and plants. Arboricultural Consulting and much more! 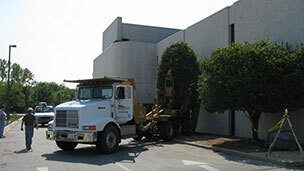 Click here to view our additional tree services. To request for a consultation, feel free to contact us or give us a call at: (815) 469-6061. We also invite you to browse around our website to view our various tree services. We’re looking forward to providing you with all of your tree health care and tree transplanting needs.